You must take your own precautions to ensure that the process which you employ for accessing this Site does not expose you to the risk of viruses, malicious computer code or other forms of interference which may damage your own computer system. Except as required by law, we do not accept responsibility for any interference or damage to your own computer system which arises in connection with your use of this Site or any Linked Site. The content on the Site may not have been reviewed and therefore should not be relied upon without you verifying the information independently. This Site contains links to other websites (Linked Sites). Those links are provided for convenience only and may not remain current or be maintained. We are not responsible for the content or privacy practices associated with Linked Sites. Our links with Linked Sites should not be construed as an endorsement, approval, affiliation with or recommendation by us of the owners or operators of those Linked Sites, or of any information, graphics, materials, products or services referred to or contained on those Linked Sites, unless and to the extent stipulated to the contrary. The information contained on this Site, including any links to Linked Sites, is provided by us in good faith on an “as is” basis and all users must verify the information independently before using the information . Except for any warranties that are implied by law, we do not make any representation or warranty that the information contained on the Site is reliable, accurate or complete or that your access to that information will be uninterrupted, timely or secure. Responsibility for the content of advertisements appearing on this Site (including hyperlinks to advertisers’ own sites) rests solely with the advertisers. The placement of such advertisements does not constitute a recommendation or endorsement by us of the advertisers’ products and each advertiser is solely responsible for any representations made in connection with its advertisement. You may provide a link from your website to the Site (a Link) only on the following terms: The Link must not create an impression that you, or your products, services or website, are approved by or affiliated with us or the State of New South Wales. You must immediately remove any Link at our direction. You must not charge for access to the Site or otherwise represent that there is any charge associated with accessing the Site. The Link must not appear in any part of your website that requires a fee, payment or subscription. 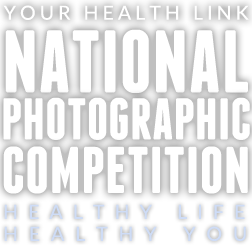 The url [www.healthycommunitiesmnc.com.au] must appear in the text for the Link. Except as required by law, we do not accept responsibility for any loss or damage, however caused (including through negligence), which you may directly or indirectly suffer in connection with or arising from your use of this Site or any Linked Site or your use of or reliance on information contained on or accessed through this Site. without our written permission or, in the case of third party material, from the owner of the copyright in that material. You must not use any content from the Site in a manner that suggests that you are approved by or affiliated with us or the State of New South Wales. This Site includes trade marks owned by us (or our licensors). in a manner that disparages us or our information or services (including this Site). Unless we agree otherwise in writing, you are provided with access to this Site only for your personal use. Without limiting the foregoing, you may not without our written permission on‑sell information obtained from this Site.